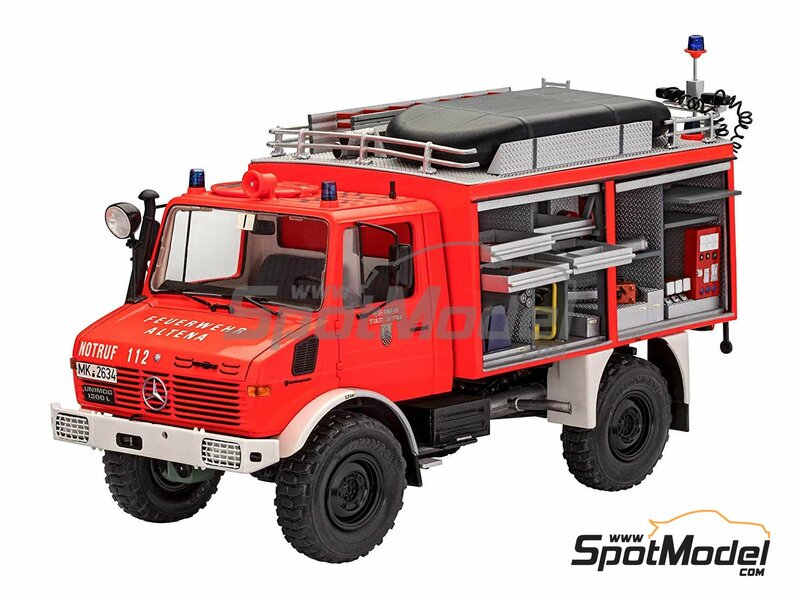 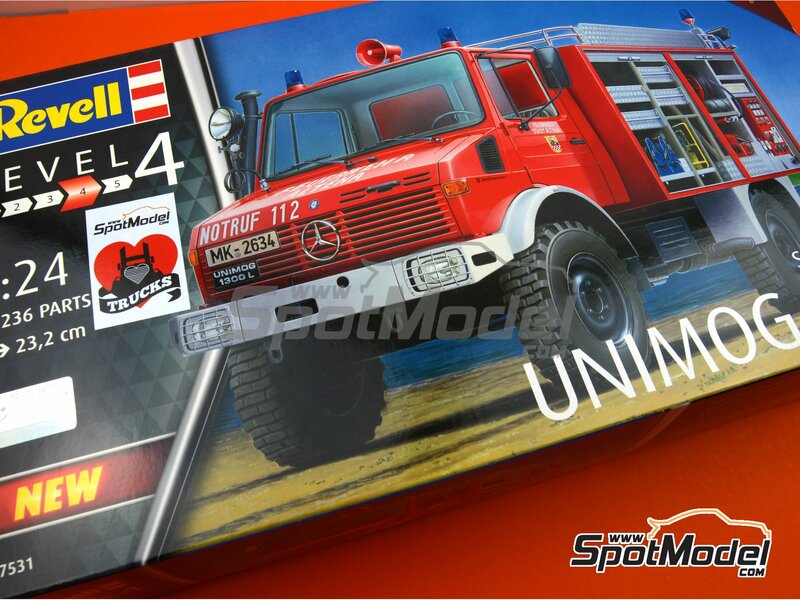 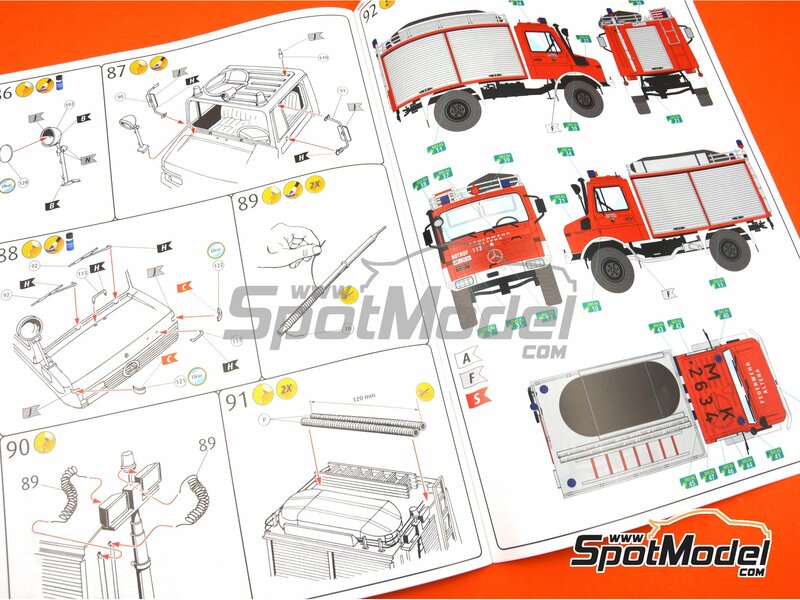 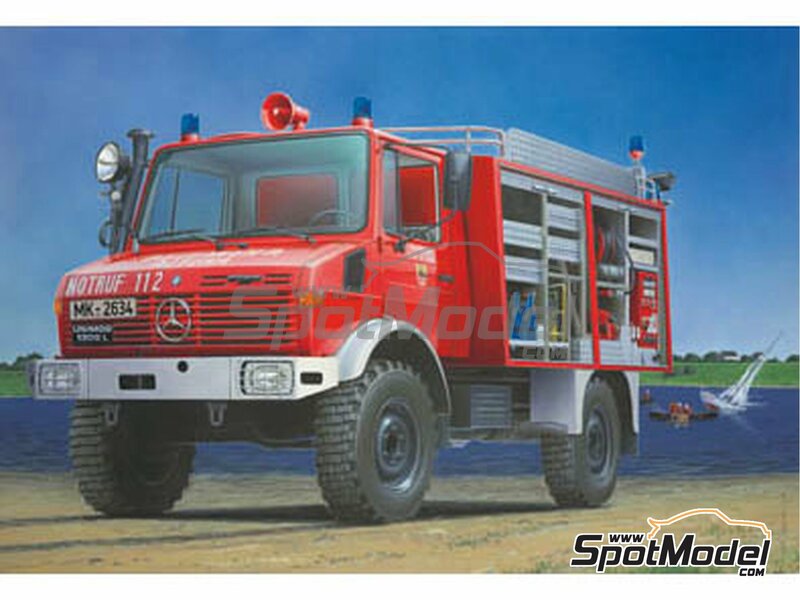 Time-limited time re-edition of the gorgeous Mercedes-Benz Schlingmann Unimog RW1 fire truck. 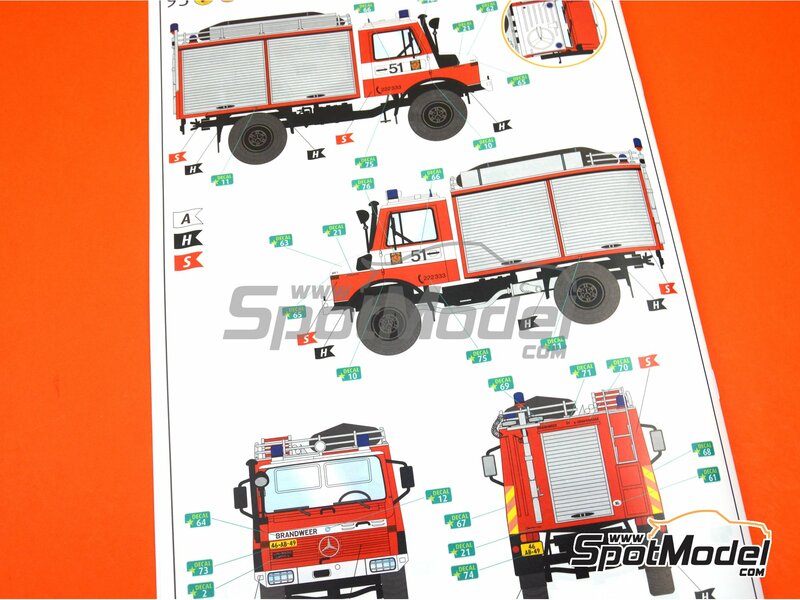 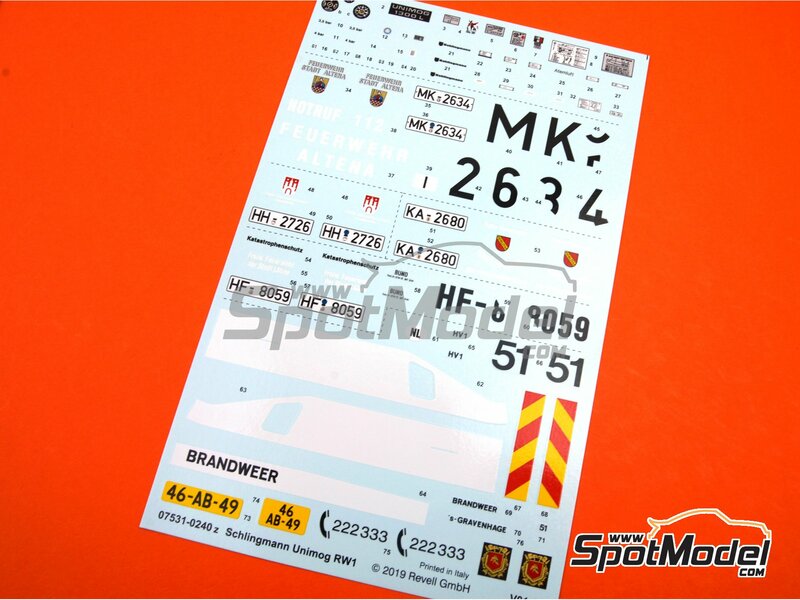 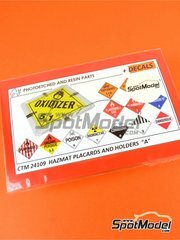 Includes decals for recreating several versions from different German cities. 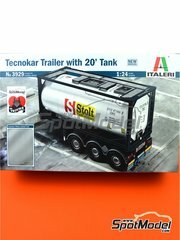 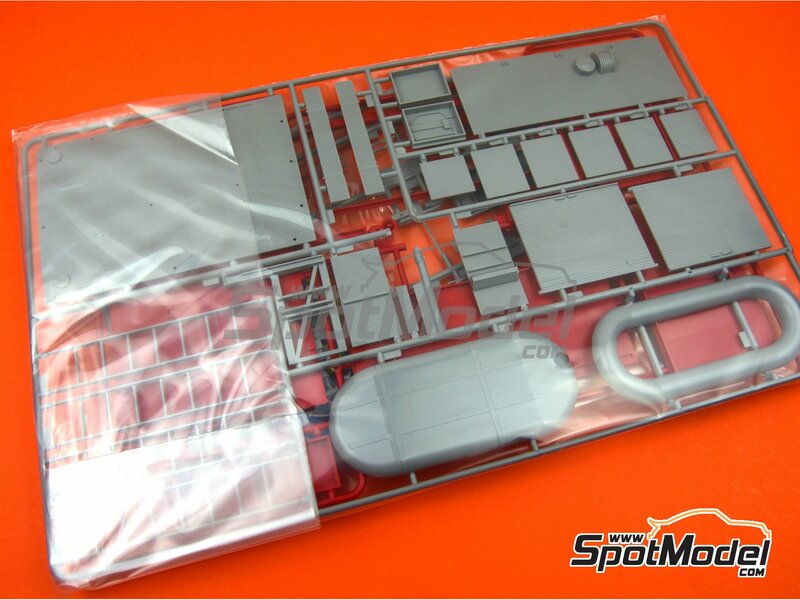 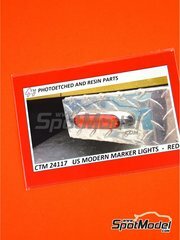 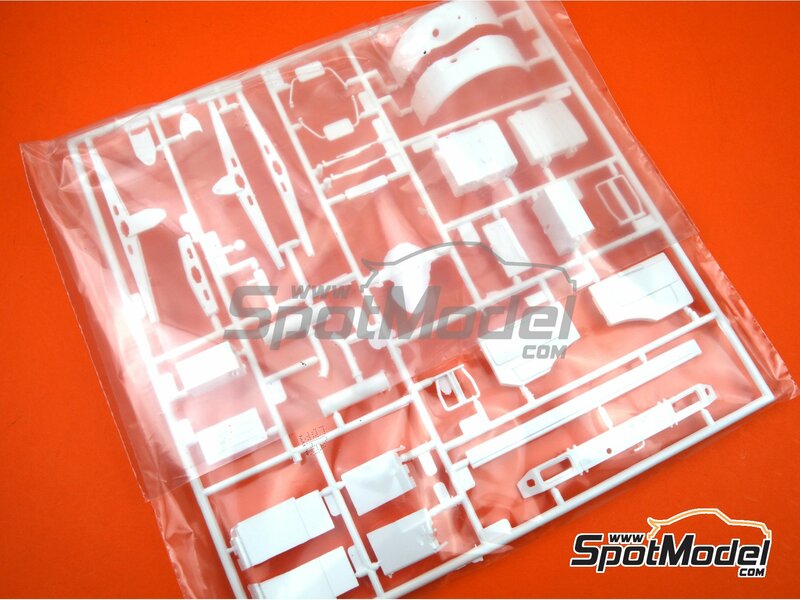 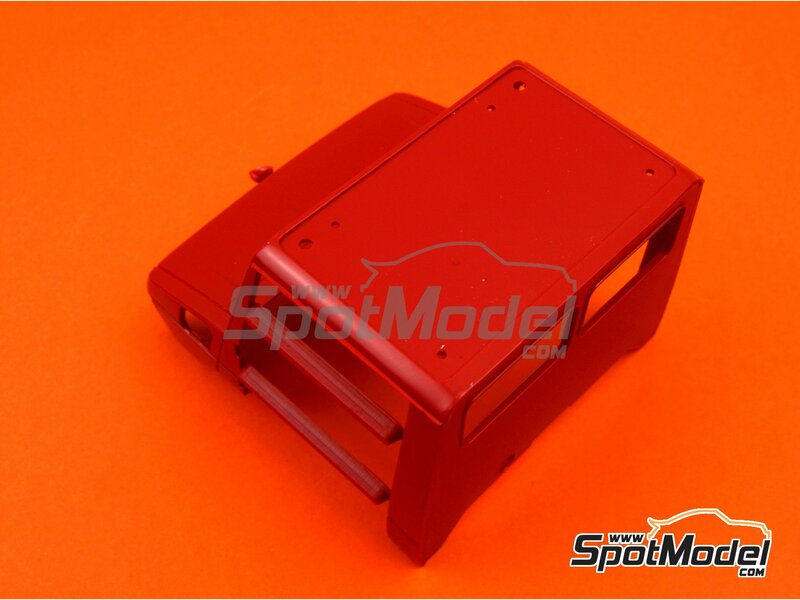 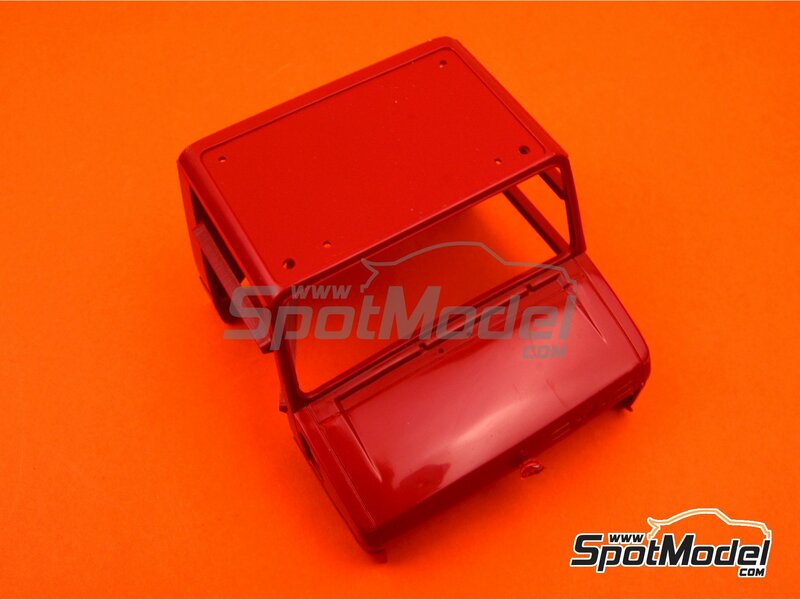 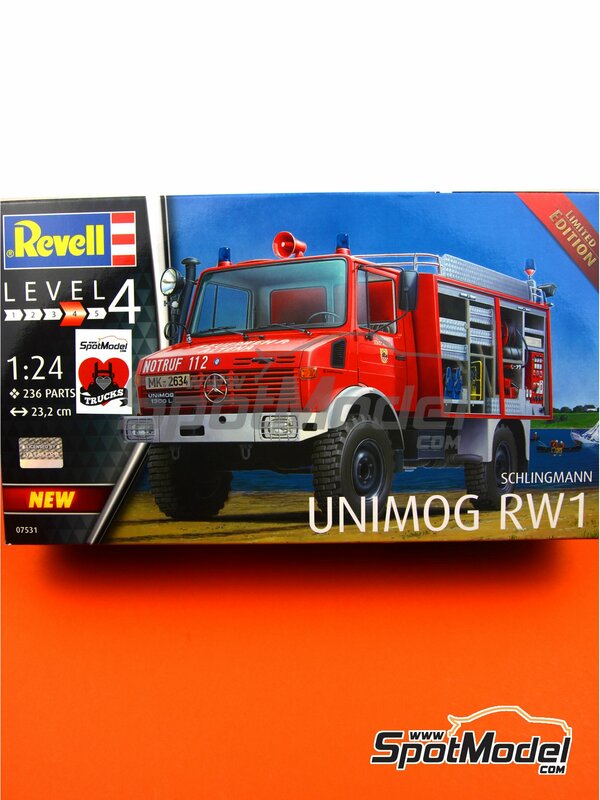 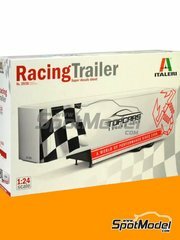 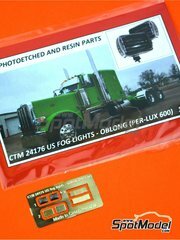 Manufactured by Revell in 1/24 scale with reference REV07531 (also listed as 07531). 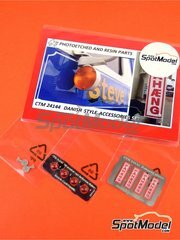 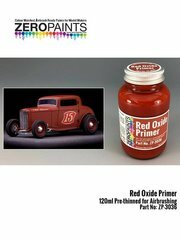 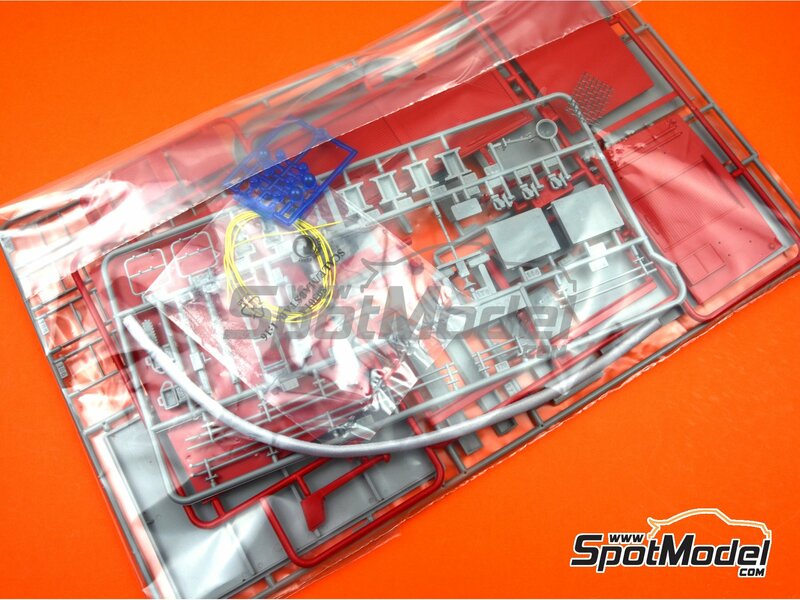 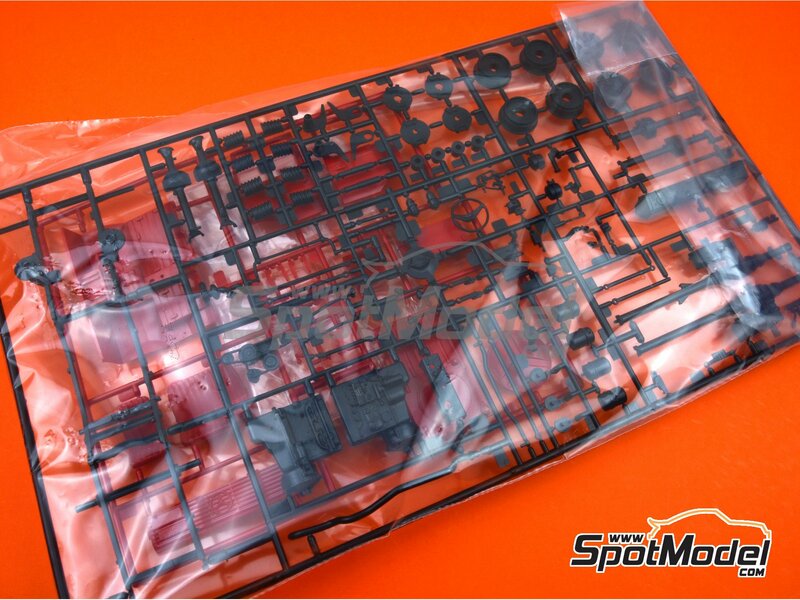 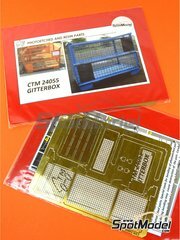 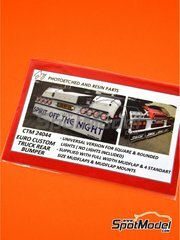 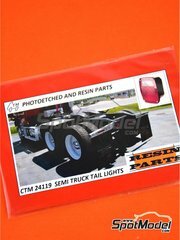 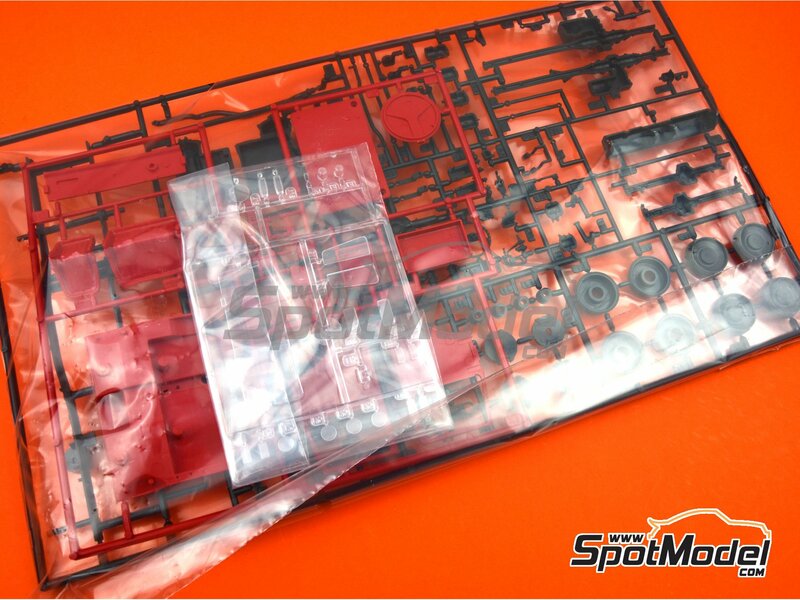 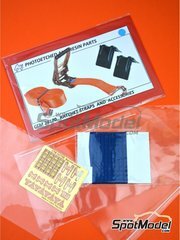 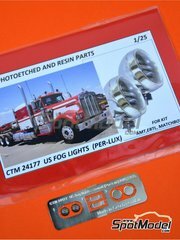 Includes plastic parts, rubber parts, water slide decals, other materials, assembly instructions and painting instructions. 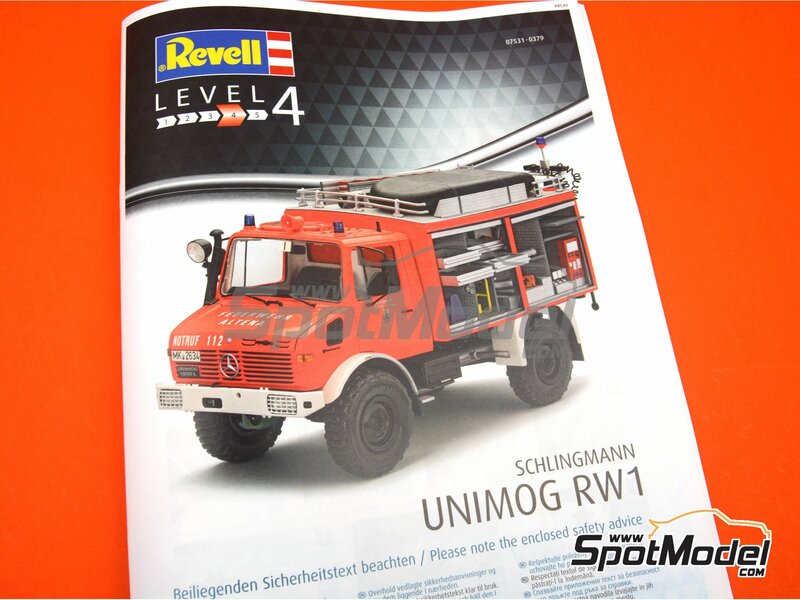 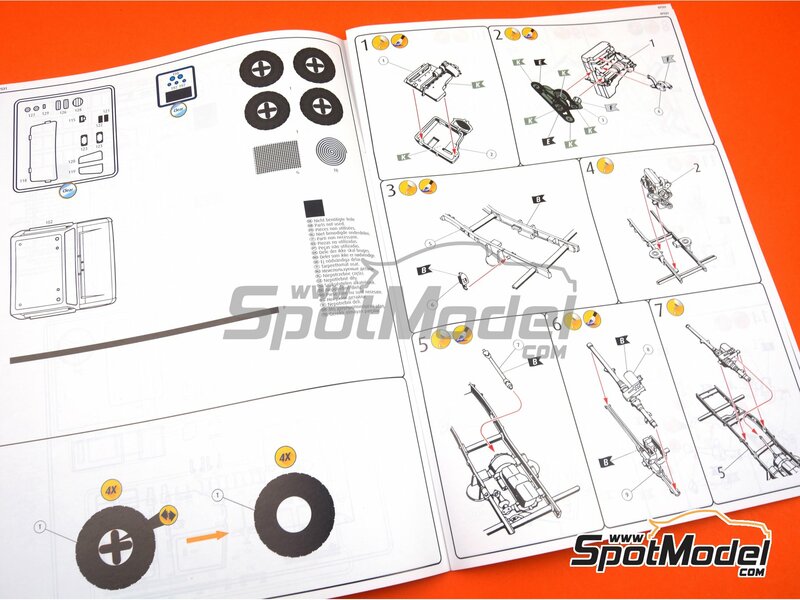 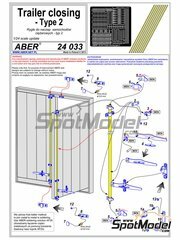 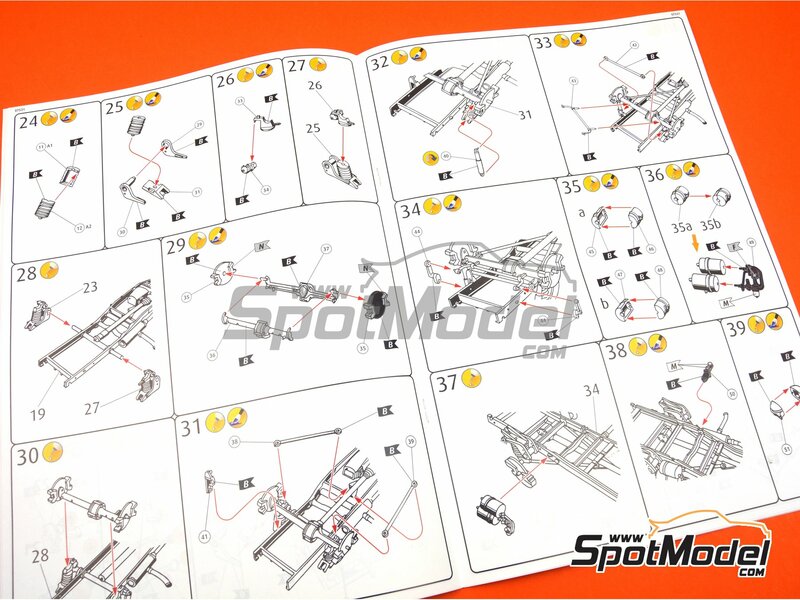 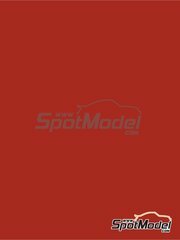 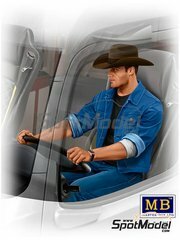 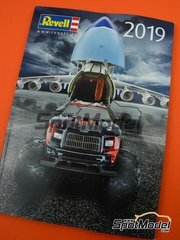 Download Revell REV07531 assembly instructions manual in PDF. 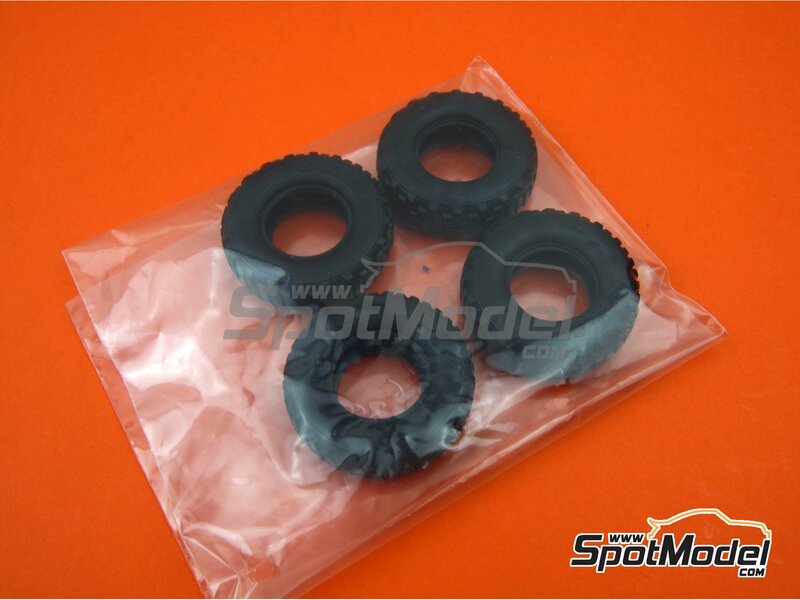 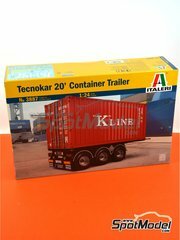 Package measures 250 mm x 435 mm x 110 mm (width x depth x height), weighting 842 g.